Saturnina Malm (1907-1982) is yet another one ‘quiet heroine’ who was inextricably bounded with occupied Lublin. She was an extremely interesting, multifaceted and fierce figure. A woman of great courage and inner strength who pursued her goal wilfully. That goal was to organise help for the prisoners of Majdanek, one of the severest German concentration camps (German: KL Lublin), which was situated on the outskirts of Lublin. The prisoners were virtually cut off from the outside world, especially during the first period of camp’s functioning. Therefore, getting in touch with them not only was a formidable mission but dangerous one as well. It should be emphasized that at that time no charities, such as Polish Red Cross and Central Welfare Council, had had access to KL Lublin yet. They were allowed to organise help for prisoners only from spring 1943. Saturnina Malm succeeded in getting in touch with the Majdanek concentration camp in January 1942. 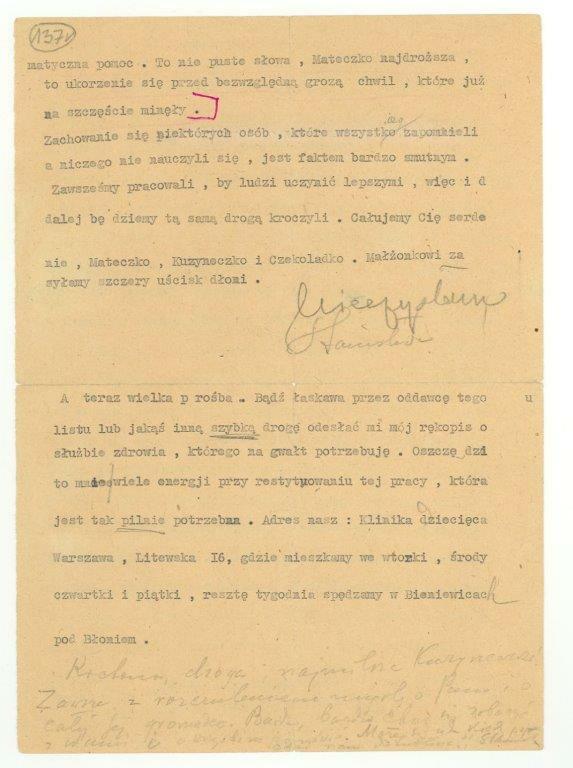 It happened upon Helena Pawłowska’s request, whose husband, dr Roman Pawłowski, was relocated to KL Lublin from the Dachau concentration camp in December 1941. At that time, prisoners-doctors were moved from other camps to Majdanek in order to engage in sanitary work. At one time, a small ranch house drew her attention. German soldiers often walked out of there, carrying packages under their arms. After talking to a few neighbours next door, she found out that in that ranch house lives certain Helena Poleszak who washed whites for SS-men. Saturnina decided to talk to her. Soon it became clear that Mrs Poleszak is ready to help to deliver the message for dr Pawłowski. From now on, Helena Poleszak took advantage of any opportunity to pass a card or package from Saturnina to doctor. 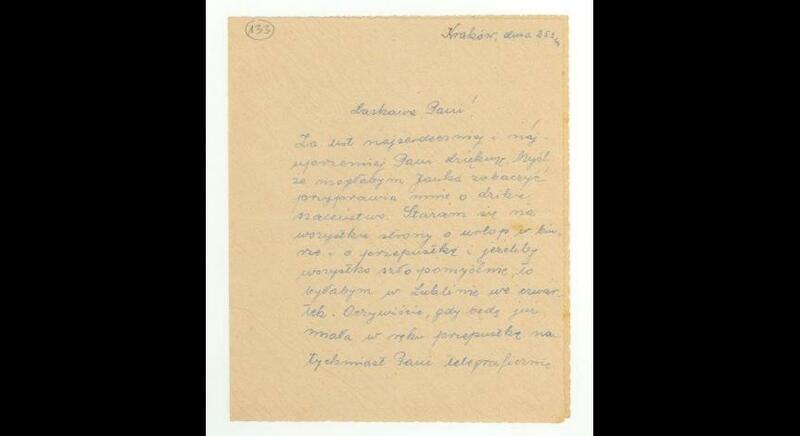 Soon the messages started to reach other prisoners as well, especially those who worked with dr Pawłowski. In that circle there were, inter alia, dr Romuald Sztaba, dr Ryszard Hanusz, dr Jan Nowak, Józef Brzostowski, Jerzy Bargielski. One German gardener helped Mrs Poleszak to maintain communication with prisoners. In the second half of 1942, Helena Poleszak, in consultation with that gardener, organised a meeting between dr Pawłowski and his wife. The spouses could have seen each other through wires and could have had a few words. It was a great experience for both of them. Initially, Saturnina Malm granted aid for a few prisoners, however, from January 1943, when transports with Polish political prisoners began to flow, the number of her charges increased rapidly. When she realised that she was not able to help so many people in need alone, Saturnina obtained cooperation with doctors, pharmacists, store owners and ordinary citizens of Lublin. Among people, who she cooperated closely with, there were: dr Teodor Lipiecki alias ‘Tato’ (‘Dad’) who provided prisoners with medicines and medical equipment obtained from another doctors; Elżbieta Lauber-Krzyżewska alias ‘Córcia’ (‘Daughter’)’ ‘Szarotka’ (‘Edelweiss’) and Antonina Grygowa alias ‘Ciotka’ (‘Aunt’), bakery owner. Saturnina Malm was called ‘Mateczka’ (‘Mother’). Aforementioned people organised together not only material assistance in form of packages for prisoners but they also made it possible to meet with their closest ones, receiving them in their own apartments. It is worth adding that in 1942 there were three fully functional aid points which were located at 3 Długa Street– at Ms Lauber, at 5 Orla Street – at Mrs Antonina Grygowa and in the Saturnina and Mikołaj Malms’ apartment at 12 Zamojska Street. Mentioning the names of the close co-workers of Saturnina Malm, one cannot overlook Willi Reinartz, SS-man from Majdanek… He was instrumental in passing medicines and notes for the prisoners in and out of the camp. What is more, he escorted the prisoners himself for meetings with their family members. The meetings also took place outside the camp. Our heroine worked towards prisoners tirelessly until they would be evacuated to other camps. The majority of her charges was deported in April 1944 to camps located the farthest from the coming Eastern Front. Women went to KL Ravensbrück and to KL Auschwitz and men mostly to Gross-Rosen and KL Auschwitz. From this period came the largest number of messages to Saturnina sent as an expression of gratitude for her material assistance, moral support and a good heart. 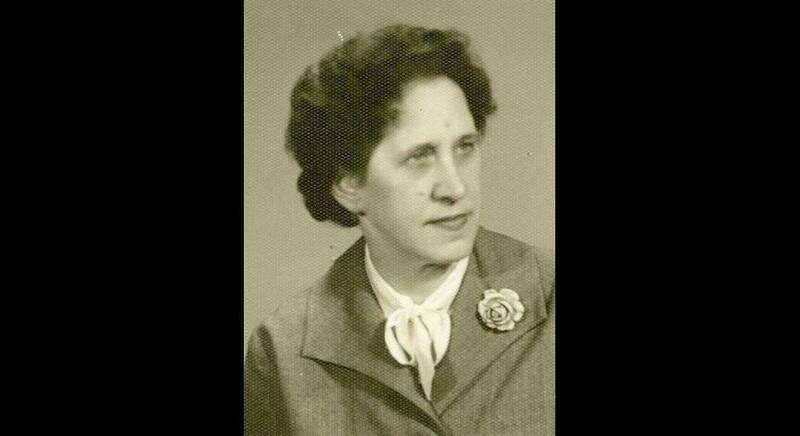 Saturnina Malm did not restrict herself “only” to organising aid for prisoners at Majdanek. At the same time when she prepared packages, smuggled messages and organised meetings between prisoners and their families, she dwelled on something, or rather someone, else. 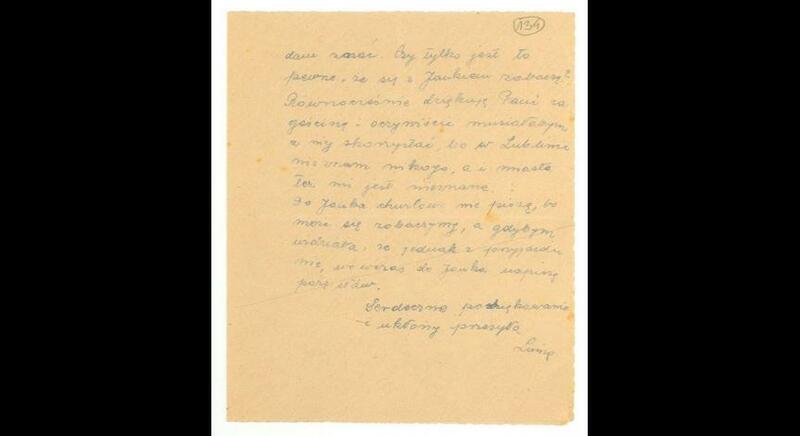 In the second half of 1943, when Saturnina was walking down Pawia Street in order to exchange messages for prisoners at Majdanek, she came across a group of Jews being led in the direction of Majdanek. Having those messages with her, she decided to edge away from a dangerous group. Suddenly, she felt that someone grabbed her elbow. She looked back cautiously and saw a 14-year-old girl. She was a Jewish girl who somehow must have wandered off from her group. She begged Saturnina for care. Making an impulsive decision, she took her home. There she and her husband Mikołaj decided that the stranger would stay under their roof. And that is how Saturnina Malm gained a new charge. It turned out that her name was Sara Roth and she came from Kock. Her parents and other relatives had been murdered by Germans. She did not look like a typical Semitic girl but just by listening how she spoke one could have recognised who she was. Therefore, hiding her in the Malms’ apartment in a tenement house was fraught with danger for the whole family. But they took the risk: ‘...what will be, will be’ – said Mikołaj Malm. Sara had to sleep in a bath but in the daytime she hid in a small attic above the apartment where she could have sit next to a window and read books. At night, Saturnina walked down with Sara in the rear of buildings to take the air and move a little. Over time the girl began to talk and write in Polish properly. Saturnina Malm decided it was high time to try for documents for Sara. Thanks to help of supervisor of orphanage at 11 Sieroca Street in Lublin, Sara received a birth certificate of Jadwiga Naremska, a girl who had passed away. From now on Saturnina took Jadwiga with every time she went out. New identity helped the girl to survive till the end of war. 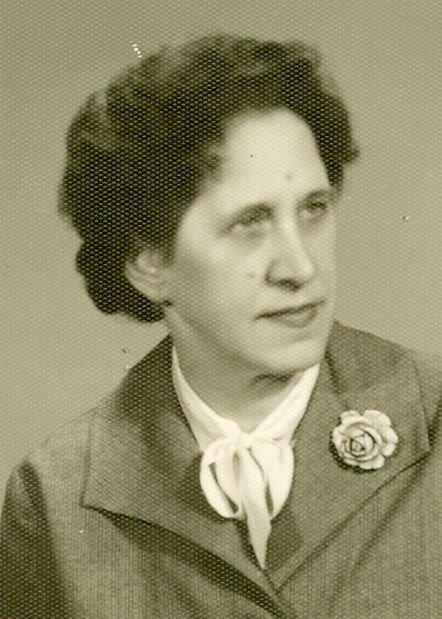 In autumn 1945 Sara Roth alias Jadwiga Naremska moved out from Lublin to Włocławek, to Saturnina’s sister. 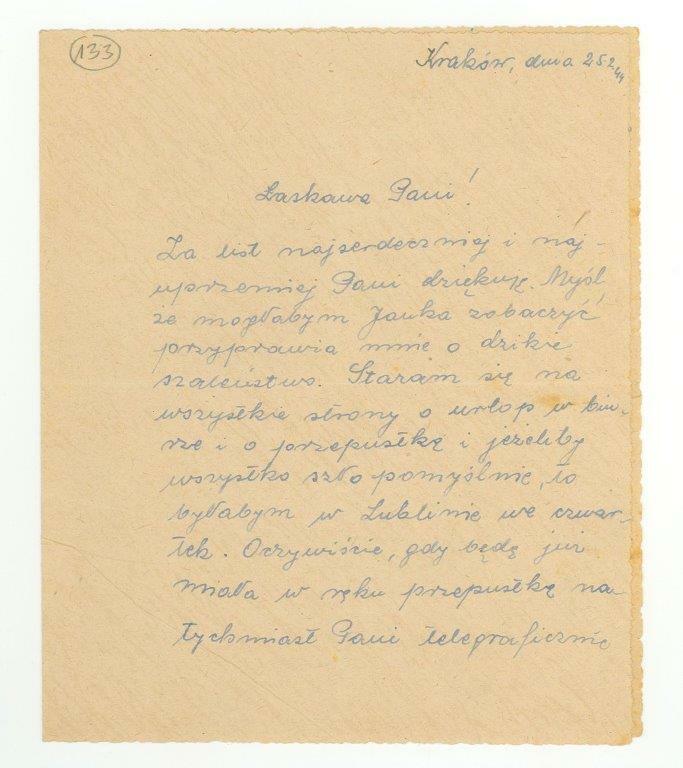 From there she was visiting the Central Committee of Polish Jews in Łódź in order to get in touch with her family in France. In spring 1946 she moved out to her uncle in Paris. 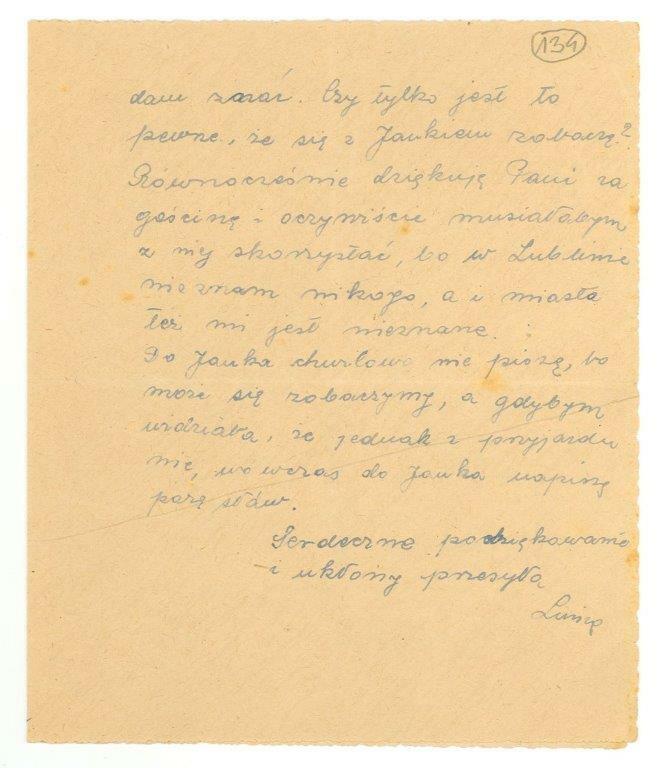 The collection of more than 100 messages sent by prisoners held at Majdanek, memories and a few letters from Sara was given to the Museum’s archive in 1969. 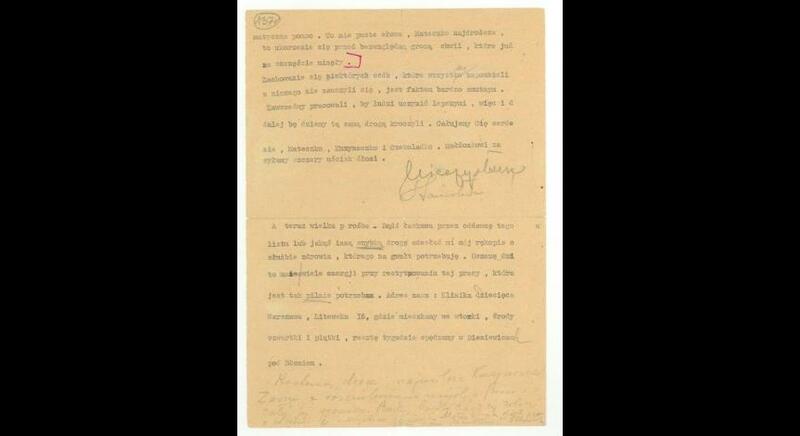 They were donated by Saturnina herself, with a list of names and information about people who were in her keeping. Those materials are confirmation of heroic courage and stout heartedness of this ordinary, but simultaneously extraordinary, woman. Moreover, the museum possesses a recording of Saturnina Malm’s narrative concerning her activity during occupation. By listening to that narrative, articulated with a firm voice, full of perfectly remembered details, names and various, more or less important sitters, it is easy to imagine what kind of person was our heroine. One might boldly say that Saturnina Malm aced her humanity exam, although it was not the note that was her aim, but a fellow human.